People have been mixing materials on homes for years. Sometimes it’s a practical decision and sometimes it’s all about style. With the varieties and quality of building materials available now days, more often than not it’s about style. But it all needs to be according to a plan. Homes are built according to design trends and styles both current and historical. Elements of these styles and trends are based on practical construction methods and others are simply aesthetically pleasing to homeowners. If you plan to make changes to your home or are starting from scratch you need to keep in mind these trends. Ignoring them will make the viewer of your home think that something is wrong even if they can’t quite figure out why. Use elements of your home as transition points from one material to another. Start and stop alternate materials at corners. For instance if you have a portion of your home that bumps out and wanted to highlight that with stone, you would want to start in one corner wrapping the three sides and end in the other corner. Don’t modify the homes original architectural style so drastically it clashes. Many times you can mix and match bits of architectural elements as long as they harmonize. You wouldn’t create an arts and crafts wood and stone entry area for a colonial style house. Mixing materials usually means a change in color. You want that change to stand out and be noticed. 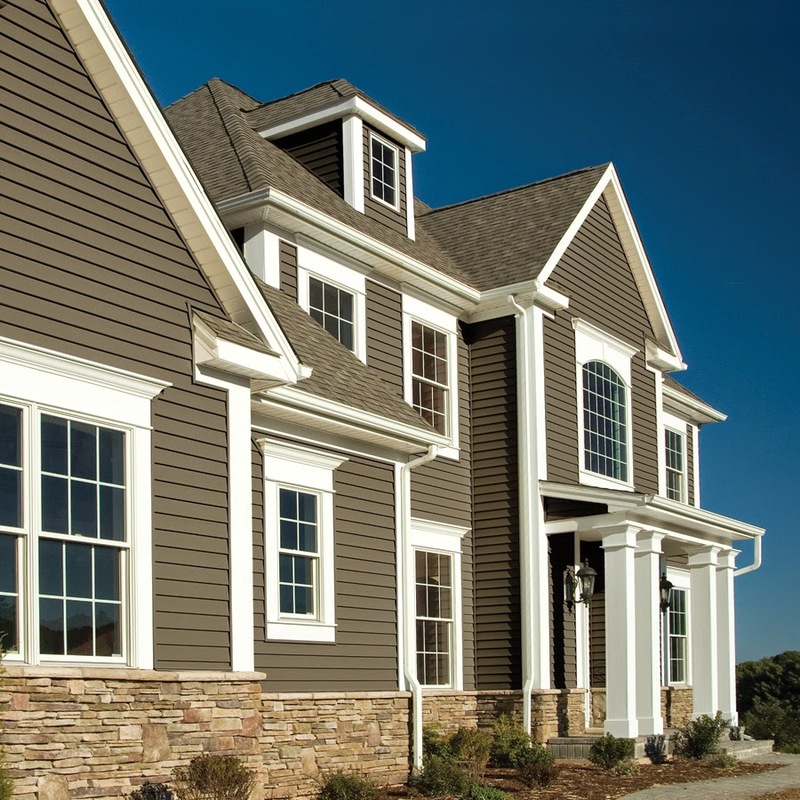 Don’t choose a color so close to your main house color that your change in material goes unnoticed. At the same time you need to have an overall harmony in the look of your home. You don’t want your neighbors making comments about your house for all the wrong reasons. Don’t compromise the integrity of your home solely for stylistic reasons. If you intend to use alternative materials or a standard material in an alternative application, make sure it will work. Breaking design standards and rules might be for you. It’s certainly a way to get a unique look to your home. Just keep in mind not everyone will like what you’ve done. This is especially concerning if you someday intend to sell your home. If you are planning a remodeling project let K-Designers help. Give us a call 800-728-3902 or visit us online www.k-designers.com we would be happy to help make your project a success. Thanks for sharing the valuable tips for manufacturing services. If you are looking for the home repair services. Visit Home Additions Orange County who is professional enough in providing the home repair services.